Have you been watching the Winter Olympics in PyeongChang? I love em – and will be glued to the set most evenings watching all the drama unfold. I think it’s always fun to watch excellence and people competing for their sports greatest honor. I’ve always wondered how many of the athletes support themselves during training (do they work full-time jobs – or do they get stipends? ), OR what can each medalist expect to earn from their victories (if anything)? All these questions and a few more I posed to my oldest nephew a couple years ago, who had the honor of coaching the inaugural US skier-cross team at the 2010 Winter Olympics in Vancouver. He was also a member of the US ski team and has traveled all over the world competing in alpine events. So, what can the average medalist expect to earn from their medal wins? I only can give you what a US athlete can expect to earn, as each athlete from another country could be quite different. The USOC has a program called “operation gold” which pays out medal winning performances at the Olympics. A US athlete who medals in the Summer/Winter Olympics can expect to receive $37,500 for a Gold Medal, $22,500 for a Silver Medal, and $15,000 for a Bronze medal. Now, as you can imagine that is not a huge sum of money for some of the “pro” athletes that compete in the games. However, when you look at it from a organizational standpoint, that is a huge amount of money to award each medalist considering the US is one of the most successful countries in the medal count at any Olympic Games! Then some athletes will have endorsement deals laced with incentives that will pay them based on their performance – i.e. Sponsor “A” will pay “X” athlete $50,000 extra for Gold, $20,000 Silver, $5,000 Bronze…. And again these athletes are like independent contractors so they will be taxed on all their earnings. Update: A new law was passed in 2016 where Olympians who win medals will receive a special tax exemption from their winnings. I guess if you’re Michael Phelps (8 Golds from the last Summer Games) – you can come away with quite a chunk of change! Though, I suspect most will earn their money from endorsements then, right? Certainly some of the top athletes will earn a bulk of their income from endorsements. Though that list of athletes who have lucrative endorsement deals is small. I’m not counting the “pro” athletes that participate in basketball, and tennis. Most athletes who are not the Michael Phelps or Usain Bolt, or Lindsay Vonn of the Olympics struggle to “make a living.” Generally speaking most athletes who participate in Olympic sports – i.e. swimming, skiing, rifle, running, archery, etc. don’t have long contracts, if any contracts, with companies/sponsors. Most sponsors look to bring on marketable athletes to help promote their brand 2 years prior to an Olympics. Many contracts are signed for 2 or 4 years (Olympic cycles). And because many of these athletes are only seen or known during this one, two week period every four years, their overall marketability is limited. Again, the exceptions are the athletes like Phelps, Vonn, etc.. Endorsements can range all over the place depending on the stature of that particular athlete and their accomplishments and certainly what they will bring to that sponsor in return. So as you can probably guess those can be in the millions or even very small as a couple thousand or less. Many athletes have deals with sponsors that will pay them based on performance – better known as an incentive-based contract. This is typical because obviously the better an athlete does the more publicity that athlete gets, hence more marketability for a given time frame. How do most Olympians support themselves? Do they work regular jobs and then train on the evenings or weekends? And if they are on the US team, can they receive compensation during training? I’ve also heard that Home Depot was a big employer of athletes – is that still true? This is the question that really is all over the map. Generally speaking, the average American Olympian will have to support themselves in other ways to “make a living.” There really are very few who can dedicate 100% of their time and effort into training without help or assistance. This is why athletes say they have “sacrificed” so much to get that Olympic medal. I believe that 100%, because many athletes for-go all sorts of open doors to chase the Olympic dream. There are all sorts of different ways that athletes get by and train at the same time. Some sports have more funding than other sports so those respective national governing bodies may have grants that athletes can be awarded – but that is rare. I recently read about swimmers on the national swim team are given a $3,000/month stipend so that they can continue to train and race. I’m not sure how other sports may operate. I think track may have something similar but I’m not sure. I know for sure skiing does not have that. Athletes, if they are on the national team, can possibly live and train at one of the three Olympic training centers in the US. If they went that route they would have their lodging, and food taken care of as they have dorms at those facilities. San Diego is probably the nicest one, but I think all three have their own strengths since I’ve spent time at all of them. As for the Home Depot program, I had heard that stopped after 2010, as I don’t believe Home Depot is a US Olympic sponsor anymore. But that program allowed athletes who went to work for Home Depot to earn a full-time paycheck (40 hour) while working a part time schedule which allowed for training and competing. I knew a few who did that and seemed to like it, but again, it was a perk to be able to collect a full-time paycheck [while doing part-time work]. 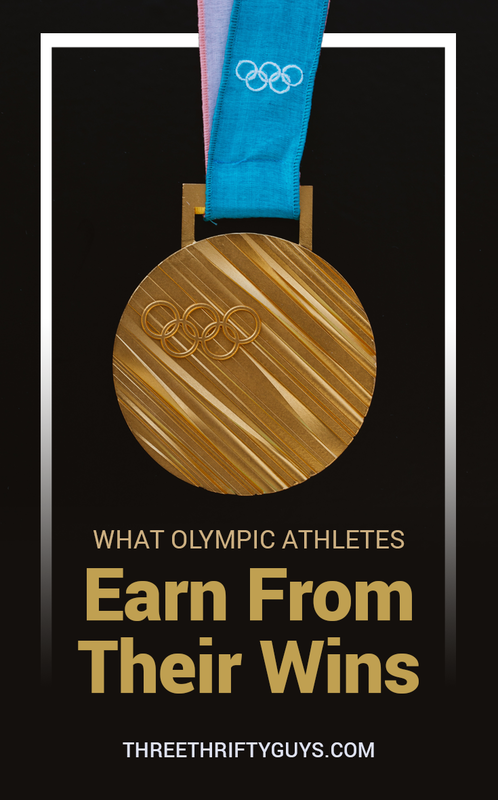 Overall most Olympic athletes who don’t medal, won’t have big endorsement deals so it is hard to put a figure on what Olympians earn. What do you think of the Olympics and how Olympians support themselves? 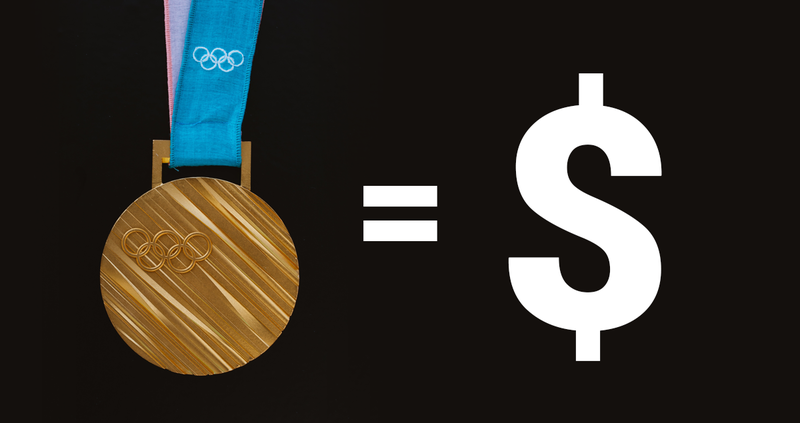 Be an Olympic saver by cutting your cell phone bill. Read how Aaron spends under $12/month for his cell provider, while Charlie spends less than $30/month. Ironically Aaron, Singapore could pay $1 million dollars per gold medal (perpetually) and they’d love spending the money. They’re a debt free city state with more millionaires per capita than any country in the world. By the way, did you sort out your investments with Vanguard or Assetbuilder? Wow – that’s pretty good! Suppose if they won more, they probably couldn’t keep that going?